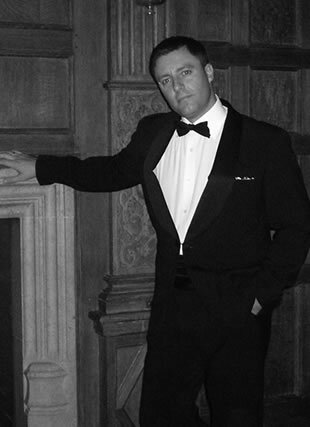 Andy�s brilliant ROBBIE WILLIAMS & RAT PACK Tribute Show is thoroughly entertaining and professional. This show is perfect for all your party and wedding entertainment needs including wedding reception music, corporate events, birthday parties, anniversaries,dinner dances, and bar mitzvah�s. Andy has twenty five years stage experience as a wedding singer and recording artist. The martini cool Rat Pack tribute show features songs from Frank Sinatra, Dean Martin and Sammy Davis Jnr and includes a few more artists like Nat King Cole, Bobby Darrin and Michael Buble. This show is very popular for wedding entertainment, wedding breakfasts or wedding reception music and highlights Andy's experience as a wedding singer. This show is full of thrills and attitude. It includes Robbie�s greatest hits, has a fantastic light show and is truly just like the real thing, from authentic Robbie costumes and microphone stand, right down to the tattoos. Andy is an experienced wedding singer and this show is ideal wedding entertainment. Full of energy and experience Andy can transform the atmosphere at any wedding. Andy is an experienced Wedding singer and has entertained at hundreds of weddings. Andy can also sing your first dance for your wedding entertainment. Andy's Robbie Williams and Rat Pack Tribute show is ideal corporate entertainment. If you are planning a Christmas party event or any other type of corporate entertainment Andy is an experienced corporate singer with a professional show full of energy.